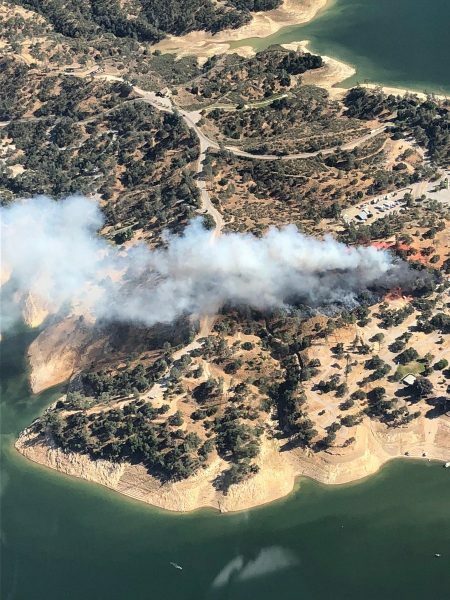 A fire broke out at Lake Nacimiento Resort Sunday afternoon and ended up burning 20 acres, as well as destroying two modular homes. At about 4:45 p.m., a caller reported a fire burning in a modular home near the pool at Lake Nacimiento Resort. The blaze spread to surrounding vegetation. 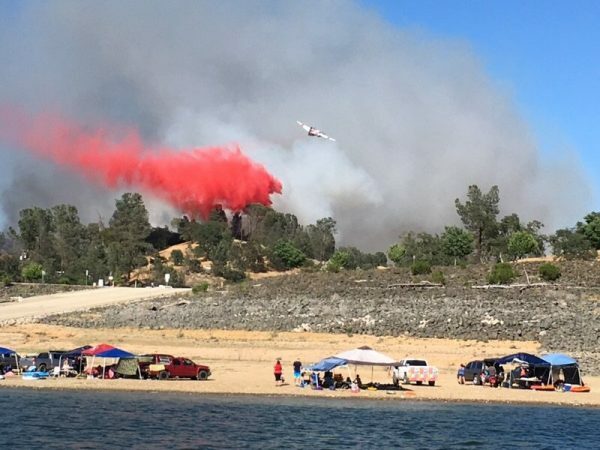 Officials closed and evacuated the Lake Nacimiento Resort campground as firefighters battled the blaze by air and ground. By Sunday evening, firefighters started to “get a good handle” on the blaze, fire officials stated in a tweet. Firefighters remained on scene overnight to control and mop up the blaze. They were still mopping up the blaze Monday morning. There are no reports of any injuries as a result of the fire. The cause of the blaze is currently unclear. Monterey County Park Rangers and Cal Fire teamed up on the firefight. The San Luis Obispo County Sheriff’s Office handled evacuations.